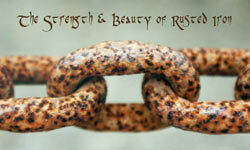 The 'Westbourne' rusted iron plant support, is ideal for all of those worthwhile but troublesome plants. Peonies and perennial Poppies are kept firmly under control within the confines of the hoops. 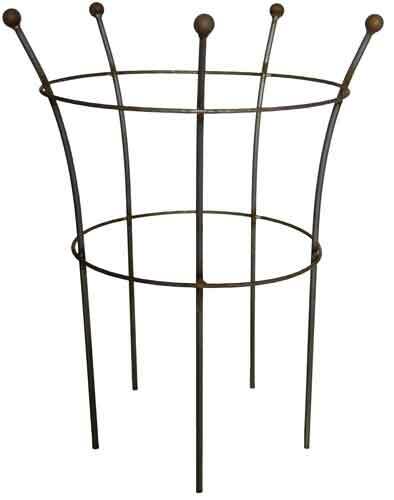 The 'Westbourne' rusted iron plant support, is ideal for all of those worthwhile but troublesome plants. Plants such as Peonies and perennial Poppies are kept firmly under control within the confines of the hoops. Excellent for holding up the likes of Delphiniums and Makleaya cordata, which can be quite troublesome if not controlled. 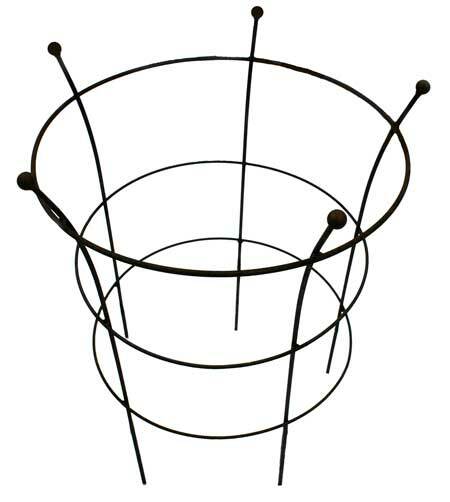 Plant supports for the larger garden. 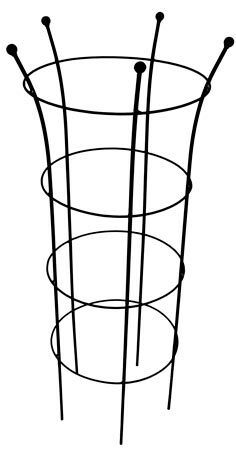 This is an exceptionally large and heavy-duty plant support, intended to give support to very large herbaceous perennials.